Isa Nacewa recently wrote an article about the New Zealand All Blacks rugby team before the Rugby World Cup final against Australia. Mental edge sets All Blacks apart from the rest. In the article he talks about several of the mental characteristics which distinguish the All Blacks as the world’s most dominant team. The one area which I’m going to talk about is the age at which several All Blacks finished their career. In the article, Nacewa points out that Christian Cullen played his last game for New Zealand when he was 26. Joe Rokocoko was 27, Josh Kronfeld and Dougie Howlett were 29. To many, especially here in Ireland, that sounds a little amazing. In Ireland we hold onto quality players for as long as they are fit and able. 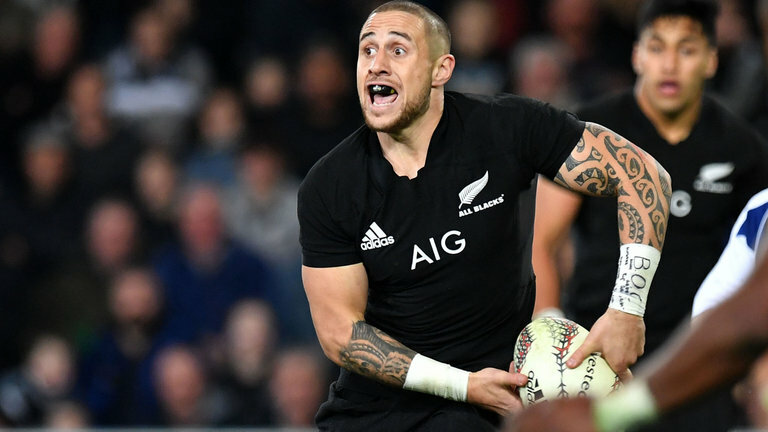 On first reading, one would imagine that the reason New Zealand were able to dispense with these players is down to the sheer numbers of excellent players their rugby system produces. For example, Josh Kronfeld was edged out of the New Zealand team by the emergence of one Richie McCaw. I believe that it is a combination of producing quality players, but even more so, the decision to dispense with players in their late 20’s rather than mid 30’s is down to an understanding of talent development by those within the All Black selection structure. The “Zone of Proximal Development” (ZPD) is a term which refers to the optimal learning environment for an individual.It’s a term which was developed by a Russian psychologist called Vygotsky and can be basically defined as an area of learning where a person is assisted by a teacher or peer with a higher skill set. It is usually a term used in relation to education, but it transfers very well to the development of talented sportspeople. In sports terms, it relates to a period of learning where a sportsperson develops from exposure to coaching from excellent coaches and performing alongside and against peers who are more skilled at that point in time. An understanding from those coaches and peers that the learner will make mistakes but will improve, further strengthens the benefits of placing a talented young performer in their ZPD. What New Zealand do, as far as I’m concerned, is have a good eye for watching for players who have reached their peak. You can imagine one’s peak as a bell curve, where players are learning and developing until they reach their peak (the highest point on the bell curve). They may stay at that peak level for a period of time, maintaining their excellent standards. However, for all performers, they will eventually begin to wane and can be said to be, even slightly, past their peak. When this happens, New Zealand act. They find a developing player in that position, and usually act quickly by replacing the player who is past his peak with the younger player. At this point is the young player better than the experienced, multi-capped international? Usually no. But the key point is, he is on his way up. He will improve. He will make mistakes, learn from them, get excellent coaching and perform alongside outstanding players. The experienced guy who is just past his peak will not recover his powers and if retained, he will contribute to standards within the squad dropping. The only exceptions to the practice should really be those once or twice a generation superstar, like a McCaw or Dan Carter (or for Ireland Brian O’Driscoll or Paul O’Connell), whose potential peak is so high that they can continue to perform at an outstanding level, and their skills can continue to aid the development of others, well into their 30’s. To summarise, New Zealand place a young player into his ZPD with a view towards creating another world class player. They know they have a guy who soon won’t be world class so they take action. A stitch in time saves nine, as the old saying goes. And here’s the key point. If they did not take this action, that young player would never reach as high an eventual peak. By not getting that top level coaching and exposure young to the kind of competitive environment that could not be created elsewhere, they would have lost vital years in their development. Their growth would be stunted. By taking early action and giving them early exposure, New Zealand are giving their young players the best possible chance to become multi-capped, world class international players. It’s a model that’s followed by champion teams in all kinds of sports. Looking at Irish sport, I immediately think of Kilkenny. People for 15 years now have been looking at Brian Cody every year wondering why he dropped this player and that player when they were still young enough to have 3 or 4 seasons left in them. James ‘Cha’ Fitzpatrick was gone at 26. Willie O’Dwyer at 25. John Tennyson at 27. If you’re old enough you’ll remember the furore over the dropping of reigning All Star Charlie Carter. Kilkenny keep winning and people wonder over and over how unbelievable they are at producing top players. How they can dispense with so much talent, confident there are others coming through. Cody, to me, has an innate knowledge of ZPD. He, just like the All Blacks, can see when a guy just might not get any better. Or that a young guy has the potential to become even better. Rather than wait on the young guy to improve on his own, like so many failed coaches do, he gives them a chance, bringing them into the squad to train with top players and top coaches so that they will be outstanding when they do make that Kilkenny team. Again, like New Zealand, Cody recognises the once or twice a generation superstar player (like Henry Shefflin and JJ Delaney) and holds onto them longer, using their huge array of skills to keep standards high and aid the development of others. You could look at other examples. Teams like Liverpool in the 70’s and 80’s, or Manchester United under Alex Ferguson seemed to have an endless stream of talent coming through. Kerry footballers in recent times have brought in guys in the same way. Quality coaching at underage level plays a huge part, as does tradition and the number of good standard young guys coming through. But an understanding of how players develop and how to increase their potential ensures the medium- and long-term success of any team. Even those who are currently not successful. It frustrates me sometimes to see teams hold onto players well past their prime and at the same time complain there is nothing coming through. Success will come if you recognise how to develop the talent. Or if you don’t know how, bring in someone who does know. What’s that ref meant to be doing anyway? !